German shepherds need mental and physical stimulation. Puzzle toys provide a great way to provide mental stimulation. German shepherds are high-energy dogs with muscular bodies and strong mouths. 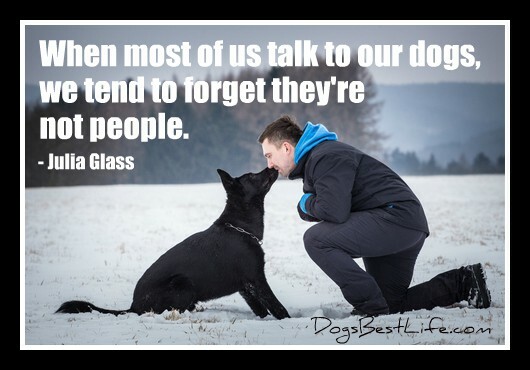 They are highly intelligent, and one of the most loyal dog breeds, but they need consistent training and thoughtful care in order to be happy and obedient. Use frequent play sessions to ensure your German shepherd has the best life possible. 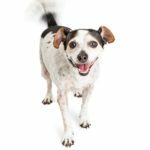 Here are a few fun activities, toys and ways of play for your beloved dog. The German shepherd is a medium to large working dog breed, originally created in 1899. First bred solely for pastoral duties, because of their intelligence, strength, trainability and loyalty, the dogs are now used for other work. German shepherds are used for search and rescue, bomb-sniffing and disability assistance. They also are commonly used as police and military dogs, using their strong noses to sniff out drugs and explosives, as well as to track and hold criminal suspects. 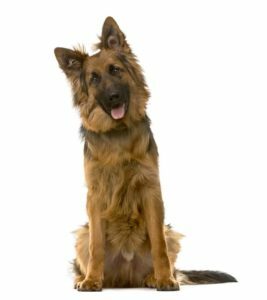 Because they have been bred as working dogs (hence their name as German shepherds), the dogs need frequent exercise that tests their wits and athleticism, otherwise, they become obese and depressed. One of the best ways to give your German shepherd his required dose of physical activity is by engaging in frequent play sessions with appropriate toys. German shepherds take their play seriously, so you need to find safe, durable toys that will satisfy your dog’s instinctive drive to run, chase and be physically active. Moreover, you need to give him toys that are appropriate to his age. You can’t give a German shepherd puppy the toys designed for adults and vice versa. You can’t wander the pet store aimlessly and buy the first toy that catches your eye. If you do, you risk bringing home a toy that your dog will either ignore or destroy in a matter of minutes. Durable, indestructible toys for chewing, throwing and pulling that will withstand the breed’s high-energy levels and strength. Comfort toys to manage separation anxiety. Puzzle toys to stimulate intellectual and mental capacities. 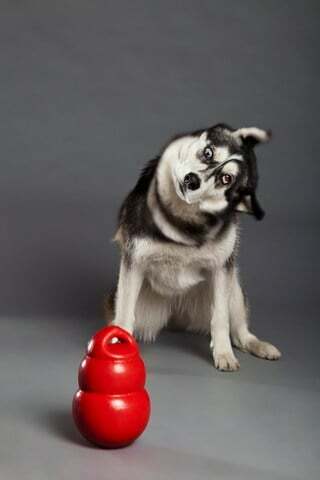 Training toys, both for puppies and adult dogs, that can be used for obedience training. German shepherds have to be properly socialized from an earlier age. If not, they might become hard to control, and in some cases, relatively dangerous. Despite being easy to train, the dogs are strong and powerful animals, so you must start from an earlier age in order to mold and shape the dog’s personality to become a loyal and highly obedient pet. You also will want to manage the puppy’s food aggression and calm his instinctive drive to chew. For the first, turn ‘’feeding time’’ into ‘’training time’’ by feeding the dog by hand, one piece of food at a time. That way the puppy learns he doesn’t need to guard his food and will associate your presence near his food with positive things. For an additional training bonus, pair the feeding sessions with other basic training commands such as sit, stay and down. Reward your puppy for good behavior with a chewing toy. 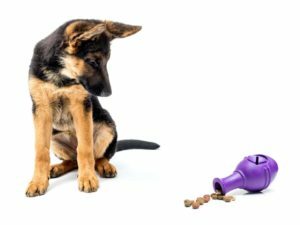 Puppy teething is a painful and frustrating process for every dog, regardless of breed, and you need to provide your German shepherd puppy with durable chewing toys. First, you want your puppy to develop good chewing habits that will last him into adulthood. Second, you do not want your dog destroying your furniture and other household objects. German shepherds are used for search and rescue, bomb-sniffing and disability assistance. Fetch. Not all German Shepherds like to play fetch. Some need to be properly motivated and trained to play. The Jolly Ball — made of sturdy rubber — is a great choice for fetch because it can withstand repeated abuses from your dog. Tug of War. For this game to work, you need to choose a single toy (and no other). Let the dog tug a few times, then order him to drop it. This game also is a good opportunity to teach a few basic obedience commands. Unlike fetch, German Shepherds have a natural inclination to play tug of war. 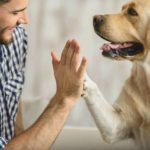 If the dog demonstrates good behavior and responds to commands for sit, stay and down, you can reward him with a brief game of tug of war. Find the treat. Remember how German shepherds are used for a variety of police and military jobs? You can stimulate the dog’s desire to work by hiding treats around the house and encouraging him g to find them. If you have one than more dog, that’s all the better because German shepherds are competitive. 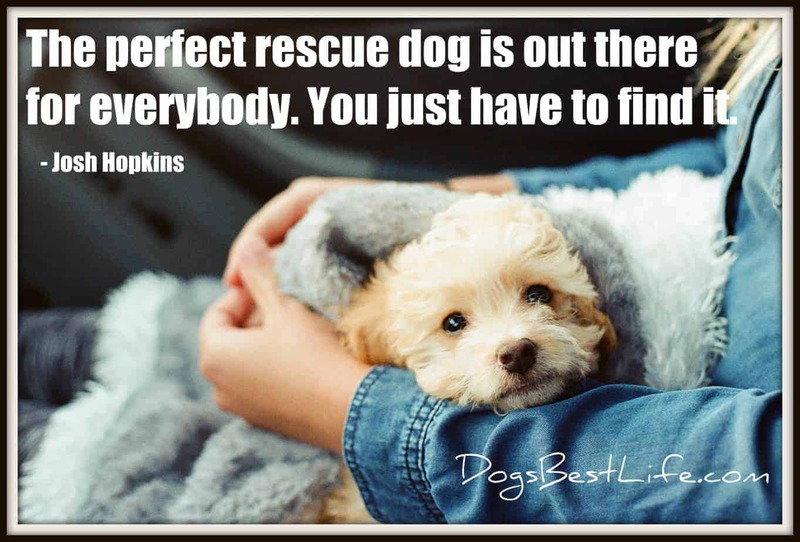 Make the dogs wait while you hide the treat, then yell, “go,” and let the dogs rush to find them. The best way to ensure your dog is active is by engaging in frequent play sessions with appropriate toys. Do your research and find the best toys for your German shepherd. 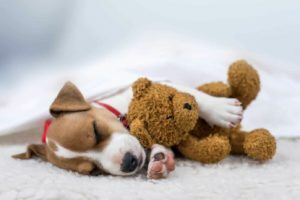 Deborah Hurst is a veterinarian who lives in New Orleans and co-founded ToyPetReviews.com, a website that helps pet owners find the right toys for their companion animals from dogs to cats to birds and other small animals.